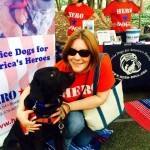 You are here: Home / Hero Dogs Programs / What Is a Therapy Dog? 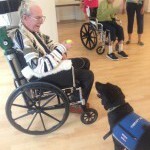 Therapy dogs are dogs that go with their owners to volunteer in settings such as hospitals, assisted-living or retirement homes, schools, libraries, etc. 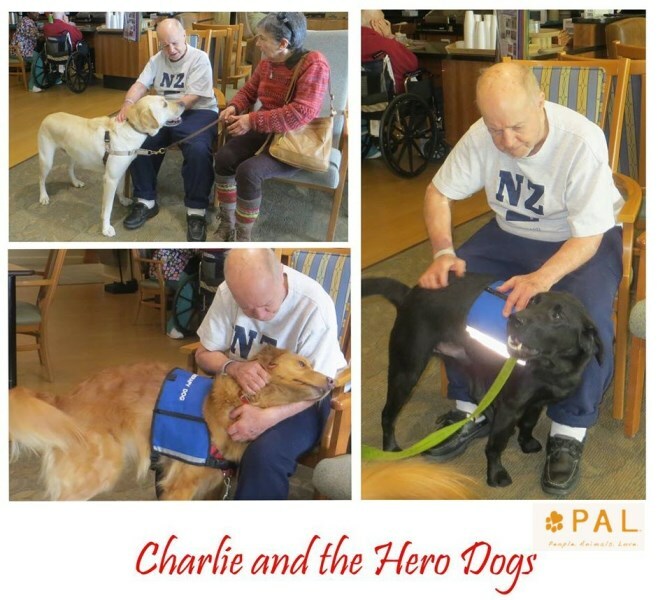 Therapy dogs provide affection and comfort to various members of the public but are not limited to working with people who have disabilities. 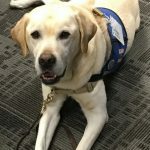 Therapy dogs are not service dogs. 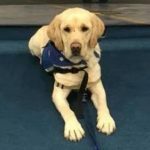 Service dogs are dogs that are specially trained to perform specific tasks to assist an individual person who has a disability. A person accompanied by a therapy dog has no special rights of access, except in those facilities where they are welcomed. 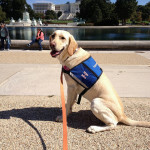 Hero Dogs and Washington DC nonprofit People. Animals. Love. 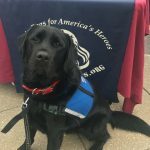 (PAL) established a collaboration leveraging the human-animal bond to make the DC metro community a better, richer place for Veterans and military families to live. Many of the dogs who have been released from our service dog training program were released for reasons related to their physical health. 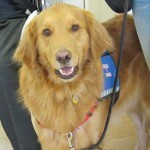 These dogs have had extensive socialization and training and are well suited to the role of a therapy dog. 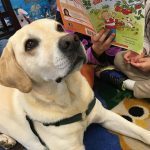 A number of our puppy raisers and adopters have chosen to pursue therapy dog certification through various organizations for their adopted released dogs. 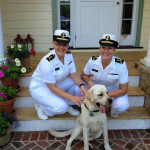 Some of the PAL certified therapy dogs have also been certified through the American Red Cross which enables them to visit our troops at the Walter Reed National Military Medical Center (WRNMMC). If you are interested in having your dog become a therapy dog, please contact one of the organizations below directly to learn about their requirements and procedures for volunteering. Hero Dogs, Inc. 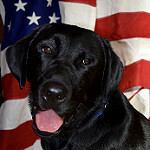 DOES NOT offer therapy dog training to dogs other than those released from the Hero Dogs service dog training program.